Unvented hot water cylinders are becoming inctreasingly popular in England. Combination boilers are great for mains pressured hot water in small houses but typically flow rates make them useful for one bathroom and one shower room. Bigger houses with multiple bathrooms are best served with a system boiler and an unvented cylinder in our opinion. 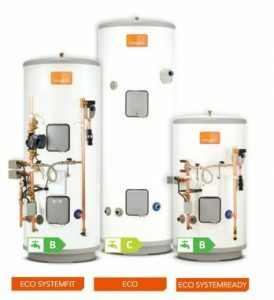 With an unvented system there is no cold water tank, the cylinder is fed directly by the cold main. As they operate at mains pressure, they offer a much better flow rate which is noticed in showers and baths. 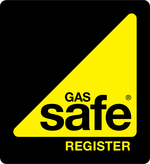 Without the need for storage tanks in the loft an unvented cylinder can help to free up valuable space in the loft and as the are mains supplied and not gravity fed you can site them anywhere and still achieve good pressure and flow rates to shower rooms above them without the need for a pump. As always your proffesional plumber will test various factors to ensure suitability of the system with your requirements. If you notice water is discharging from the temperature pressure relief valve on your unvented hot water cylinder then turn off your boiler. Do not turn off the water supply to the cylinder. Once you have done this please call ourselves or a qualified plumber who will be able to fix the problem with your unvented hot water cylinder.